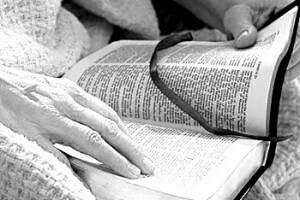 You are here: Home » Articles » The Bible in General » Are All Books of the Bible Inspired? Are All Books of the Bible Inspired? Without hesitation, we answer “Yes” to the above question. A substantial percentage of Christians are not convinced that the Bible is inspired. It never ceases to amaze me just how many people are avid students of the Bible, willing to carefully analyse its contents, yet denying that it all came from God when questioned about this. If we cannot have confidence in the Scriptures, we begin to place the words of men above the words of God. Needless to say, that is not a very safe practice. Firstly, we should consider how the Scriptures came down to us. The Bible is comprised of many different books written at different times. At some stage someone had to make a decision about which writings could be called God’s inspired Word, and which could not. On what grounds did they make decisions about each book? Was the book written by a man of God? Does it claim to have the authority of God? Is it accurate (i.e. geographically, chronologically, etc) ? Is it in accordance with other Scripture? Is it generally accepted? … and so on. Do we have the “right” books? The Old Testament books should be considered canonical (i.e. “inspired books”) chiefly because, during His earthly ministry, The Lord said nothing about any of the Old Testament books being spurious, and neither did any of the apostles. A favourite target of the critics is the Song of Solomon, sometimes known as Canticles. It was certainly part of what those in New Testament times called the “Scriptures”. We read in 2 Timothy 3:16,17 that “all Scripture is given by inspiration of God”, but the Lord also referred to what we call the Old Testament when He spoke about the Law, the Prophets and the Psalms (Luke 24:44) – these being the three major divisions. Again, not any doubt about the Song of Solomon, nor about any other “lost writings” which should have been included. Beyond question, the Lord Jesus Christ had a definite view on what constituted “the Scriptures” at the time He walked the earth, and it corresponded exactly with what we call “The Old Testament”. Another New Testament writer, Paul, was able to confirm the events of the gospels: “… how that Christ died for our sins according to the scriptures; And that he was buried, and that he rose again the third day according to the scriptures: And that he was seen of Cephas [Peter], then of the twelve: After that, he was seen of above five hundred brethren at once; of whom the greater part remain unto this present, but some are fallen asleep. After that, he was seen of James; then of all the apostles. And last of all he was seen of me also …” (1 Corinthians 15:3-8, see also 1 John 1:1-3; Luke 1:1-3; Acts 1:1-3,9; John 19:35; 20:30,31). The writers of the New Testament appealed to the firsthand knowledge of their readers or listeners concerning the facts and the evidence about the person of Jesus Christ, saying not only, “Look, we saw this or we heard that…”, but, perhaps even more convincingly, “You too know about these things … you saw them, you yourselves know about it”, just as in Peter’s speech on the day of Pentecost – “Ye men of Israel, hear these words; Jesus of Nazareth, a man approved of God among you by miracles and wonders and signs, which God did by Him in the midst of you, as ye yourselves also know” (Acts 2:22. See also Acts 26:24-28.). This was not just one man telling stories about something only he had seen, and we should remember that plenty of others witnessed the life, death and resurrection of Christ. The rest of the New Testament was also written by eyewitnesses. In the same way that the miracles were the credentials of Christ and the apostles to their listeners, so it was with their writings. i.e. : there was plenty of reason to believe that what they were saying was stamped with the authority of God. Keeping this in mind, we should note that the entire NT canon has been discussed and reaffirmed many times since the 4th Century A.D. and has remained the same ever since for largely the same reasons stated here. There is more that could be said, but I will conclude with this thought. Trying to understand any teaching set forth in the Bible will fail every time, if one does not consider all of the Bible to be God-inspired. This is the standard by which all doctrine must be compared and considered.